Green homes are rising in popularity. Since its inception in 2000, LEED, the most widely-used green building rating system, has seen a steady increase in residential and commercials builders seeking out LEED certification. At the end of 2017, there were 1.6 million LEED certified homes—and that’s not counting the builds and remodels that incorporate green or sustainable designs without seeking certification. And there’s good reason to go green at home. Opting for sustainable building materials and finishes can help save the planet, while energy-saving appliances and conservation systems like solar panels and grey water tanks can slash home energy costs. Plus, the modern, minimalist designs that often go hand in hand with sustainability are tranquil and incredibly cool. As the demand for sustainable design increases, so have the options to get there. Many homebuilders offer building plans incorporating sustainability and even interior designers are getting in on the trend—offering existing homeowners a chance to upgrade to better finishes and features. But upgrading a home isn’t cheap. And as green homes become more on-trend, designers are adding new style elements, upgraded finishes, and additional features, pushing the project budgets higher and higher. But are we reaching a point where green homes aren’t affordable for the average homeowner? At its core, sustainable home design relies on long-lasting materials derived from sustainable sources or repurposed materials. For example, new developments like bioconcrete, developed by Dutch researcher and microbiologist Henk Jonkers, are at the high-tech end of modern sustainable design. The concrete repairs itself using bacteria, eliminating the need for costly wear and tear repairs and extending the life of buildings with bioconcrete slabs or walls. But even low-tech, centuries-old designs are being incorporated into interior designer’s toolkits. Wool, for example, is making a comeback as home insulation material due to its high fire resistance, air purification abilities, and relatively low carbon footprint. Sustainable home design also takes into consideration other issues such as shipping items and other forms of waste. A hot trend in sustainable home design is prefab homes—building kits built off-site then shipped to another location, like a life-sized Lego home. Since both new builds and remodeling projects typically include a 10 percent increase in materials for screw ups, prefab kits with perfectly cut and measured materials cut way down on waste. Problem is, even if you’re using a centuries-old technique like bundling wool to create insulation, the materials used in sustainable design aren’t typically as affordable as traditional building materials like concrete, hardwood, and plaster. For example, a typical blown-in attic insulation costs $11.80 for a 19-pound bag, while Havelock loose natural wool costs $140 for a 25-pound bag. Homebuyers who opt for sustainable prefab homes over traditional builds also pay a premium on square footage. The 1,500 square foot turnkey Ridgeline range from Deltec Homes, for example, runs between $302,000 to $440,000 (not including the cost of land), while the median price of sold homes in 2018 was $229,800. Not long ago, incorporating green meant adding a few solar panels, installing a grey water system, or switching to low-VOC paint, but as sustainable design has involved, so have the options for homeowners. Today, homeowners are increasingly looking toward interior designers to help them choose and incorporate the most sustainable materials and finishes into the overall design of their home. Interior designers are also expanding their repertoires, becoming LEED-approved, building partnerships with sustainable product developers, and even incorporating ancient Eastern philosophies into their portfolios. 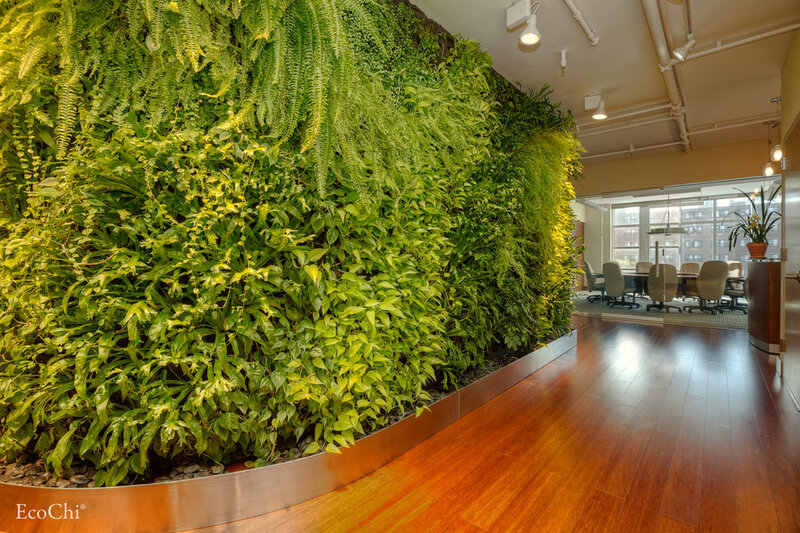 Debra Duneier, president and founder of EcoChi—a company that integrates both sustainability and personal wellness into their home designs—is a LEED Green Associate and a Feng Shui master practitioner. All of Duneier’s designs incorporate Feng Shui, a centuries-old practice based on the belief that incorporating the elements—wood, fire, earth, metal, and water—and paying special care to how objects within a space can affect your life, can help you align your energy for good fortune. When Duneier works with clients, she gets to know them through a detailed intake questionnaire seeking to understand the whole person. 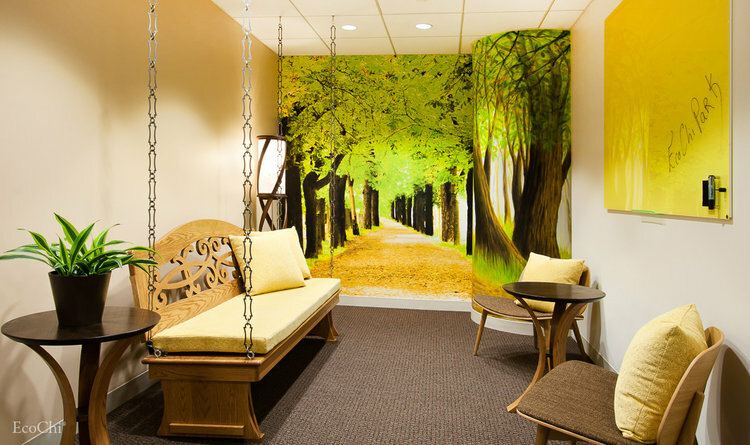 She shows her clients images of nature or textures to figure out preferences and what that person needs energetically in order to thrive in their space. From there, she does extensive research on materials—both for the building and decorative elements—to inform her design process. Duneier considers everything from the packaging materials used by flooring companies to the personal energy of the homeowner in her plans. Finished designs are on-trend, polished, and almost painfully hip. But while designers like Duneier try to incorporate a customer’s budgetary needs, often by offering a range of materials at different price points, affording one isn’t easy for the average homeowner. Nationwide, homeowners spend $6,319 on average for an interior designer, according to HomeAdvisor. Designers who specialize in fields like sustainability can command a premium above that. For many homeowners, covering the cost of labor, materials, and major appliances is a huge threshold to cross. Hiring additional pros like an interior designer to polish the job is almost a dream. As green home design continues to evolve and the pros raise prices, many homeowners may find themselves simply priced out altogether. But there is a solution, at least for handy homeowners: DIY. Many green-friendly and sustainable elements like weather-stripping, updated flooring, and major appliances can be installed by even marginally handy homeowners. While others have successfully tackled the entire project, right down to the studs. When Ame Vanorio, founder and executive director of Fox Run Environmental Education Center, decided to live off the grid, she built her home herself. In total, the project costs $25,000, a fraction of a prefab model. Since labor can eat up the majority of a building or remodeling budget, homeowners like Vanorio can save a ton upfront. When the Vanario family were deciding on materials and finishes for the home, they opted to upgrade in some areas where the upgrade would extend the life of the product, adding to the overall sustainability of the home. “We used wood floors that are sustainable oak and bamboo so we didn’t have to use carpets [which have to be replaced periodically],” she says. To make up for the added costs—and boost her home’s sustainability index, Vanario relied on repurposed materials. Homeowners can find everything from windows to cabinet hardware through architectural salvage companies that reclaim materials from older, tear-down homes. Some companies also specialize in selling recycled and repurposed materials designed for DIY-ers, like stick-on recycled shiplap and pre-pasted recycled wallpaper. Homeowners can also save by taking advantage of local and federal tax incentives for eco-friendly upgrades. But any homeowner hoping for a deduction should proceed with caution. As tax incentives change yearly and the rules to qualify can be tricky, it is best to double-check directly with your local or state tax office before making any upgrades, something Vanario found out herself. “We installed most of the [solar panels] myself so I wasn’t able to qualify for federal incentives,” she says. For homeowners on a budget, the key to achieving a green home may be in starting small. “You can always start by making small changes like sustainable landscaping, where you use plants around your foundation to provide insulation or shade depending on the season,” Vanorio says. But for the industry, as climate change’s doomsday looms, it might be time for a change. Given where we are today, and with more homeowners than ever before looking for sustainable ways to live, green design and sustainability should be incorporated at all levels—not just reserved for homeowners who can afford top-tier professionals or have the DIY chops to rival Bob Vila. After all, we all have to work together to create a better future, even when it comes to home design.